Turner Hall – 8:30 p.m. dance with music by The Wagon Aces at club at 103 W. Travis in Fredericksburg. Ring in the New Year at the world famous Luckenbach Dance Hall with music by Mike Blakely and Thomas Micheal Riley . The dance starts at 8 pm. Reserved seats are $57 per person. Please call 830/997-3224 or 888/311-8990 for more information. Walk into the new year, sponsored by the Texas Volkssport Association. Enjoy walking for free. Please call 830/992-2053 for more information. 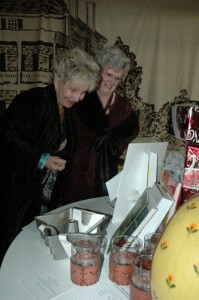 An exciting event is taking place at Whistle Pik Galleries, 425 E. Main Street, in December 2010! They are showcasing 5 of their artists in their April Show. Each artist is known for their unique approach to their medium and they can't wait for the world to discover it as well. This event is free and the public is welcome. On Saturday night, dance under the Christmas lights at the world famous Luckenbach Dance Hall, featuring Gary P. Nunn. Admission is $20 and the show starts at 8 pm. Please call 830/997-3224 or 888/311-8990 for more information. Join the Fredericksburg Theater Company as they celebrate the Christmas season. Fast becoming a family must during the holidays, this celebration of the magic of the season is filled with holiday cheer and the Christmas message. It's a special treat for the entire family. Join us for this theatrical production that includes much variety and many joys. Performances are Thursday, Friday and Saturday at 7:30pm and Sunday at 2:00pm. There is still time to purchase tickets for the Gillespie County Historical Society’s 2010 Holiday Home Tour on Saturday, December 11, 2010, from noon until 6 p.m. Seven select homes will be open to the public for the first time, from historic properties that have been restored, to modern structures designed to capture Fredericksburg’s architectural heritage. Tickets for the Home Tour are $25 per person and include tour booklet and access to all properties. Tickets may be purchased online at www.pioneermuseum.net, or by calling 830-997-2835. You can also purchase tickets at Gästehaus Schmidt, 231 West Main Street. The Larry and Deanna Corn home, built in 1995 and enlarged in 2009. This is a fine example of Fredericksburg’s “built new to look old” architecture. The Marsha and Jerry Bane home is filled with antiques, accent pieces, and - during Christmas - will include antique glass Christmas ball ornaments that have been collected over the years. The Cydney Donnell and Robert Lotito home was restored by well-known local architect Albert Keidel in 1939. The current owners have kept the footprint true to the original, with remodeling and decoration touches that add style and function. The David and Ruth Lusk home and guesthouse provide stunning Hill Country views from hilltop settings. Vibrant wall color helps to showcase the owners’ collection of Blue Ridge Pottery. The Jim and Carol McCrae home is one they built themselves in 1995. This original home was small and efficient, and built of reclaimed materials, and filled with antiques. 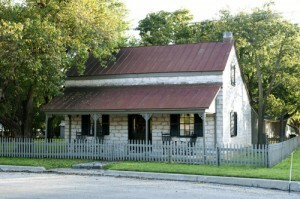 The Walter and Judith Skinner Fredericksburg Sunday house was in the Weidenfeller family. In its later years it was a B&B, and is now filled with treasured collections. This event is the largest fundraiser for the nonprofit Society that was formed in 1934 to preserve and share the area’s cultural heritage. Details and tickets may be purchased by contacting the Gillespie County Historical Society, 312 West San Antonio Street, Fredericksburg, Texas 78624, 830-997-2835, or by visiting the web site. Another great craft show at St. Joseph's Halle, 212 West San Antonio Street, from 9 am to 6 pm. Artists and craftsmen from Fredericksburg and the surrounding area will exhibit. New crop pecans, fabulous jewelry, folk art dolls, mesquite cutting boards, gourd birdhouses, embroidered items, stained glass and more. Free admission. Children are invited to come and bring their stockings to hang over the large hearth in the Kammlah House at the Pioneer Museum. While children are entertained with singing, stories and crafts, St. Nick drops in and fills the stockings prior to making an appearance at the party. All Living History activities are included in the regular museum admission - $5 for adults, $3 for children. Please call 830/997-2835 for more information. This chorale Christmas concert will feature instrumentals, solos, with choir and audience singing Christmas carols by the Fredericksburg Chorale. Performances are at 10:00AM, 3:00 and 7:30PM at St. Joseph Hall 212 W. San Antonio Street. Admission is by donation. Call (830) 997-0212 for more information. Guests at the Tannenbaum Ball on Saturday, December 4 can walk away with a diamond, a murder mystery dinner, trip to Santa Fe, or other select items while supporting the mission of the Gillespie County Historical Society. The Ball takes place at the Pioneer Pavilion in Lady Bird Park beginning at 7 p.m. This year’s theme is the Diamond Anniversary in honor of the Society’s 75th year. Auction items include a house for 12 in Santa Fe, murder mystery dinner, a condominium in Colorado, an antique gun, crawfish/shrimp boil for 40, a Houston Grand Opera package, plus fly fishing, a day hunt, gourmet dinner and helicopter ride. Among the Silent Auction items are a hand-painted heart on canvas, martini shaker and martini glasses, amethyst & rhodalite garnet necklace, small silver tree with ornaments and gift for underneath, hand-painted wine glasses, and a table runner-silver animal print. New items are coming in daily. The Society is also offering prize tickets for a .75-carat oval diamond valued at $2,200 donated by Segner's Jewelers. Prize tickets are $5 each or 5 for $20 and can be purchased from Segner's Jewelers at 236 W. Main St, Fredericksburg TX; Janie Trantham at 830-990-9675 or email at jt@ctesc.net; or Pam Spruiell at 830-997-5809 or email at pspruiell@aol.com. All guests will enjoy dancing to Austin’s top show band - Groove Daddy. The 10-piece group plays popular tunes from the 1950s to today. Carte Wheels will cater a full course meal featuring Roasted Beef Tenderloins Tournedo, Smoked Gouda Mashers, and Fine French Beans, with Apricot Bread Pudding for dessert. Tickets for the ball are $100 per person and may be purchased online at www.pioneermuseum.net, or by calling 830-997-2835. For the first time, guests can reserve seating at the ball for $125 per person. Seats can be reserved only by calling 830-997-2835. 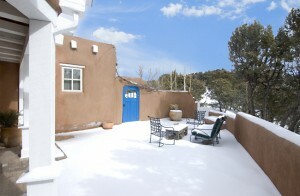 The Holiday Home Tour takes place on the following Saturday, December 11, 2010, from noon until 6 p.m. This year’s tour features seven first-time homes decorated for the holiday season. Tickets for the Home Tour are $25 per person and include tour booklet. Details and tickets are available online at www.pioneermuseum.net. The Home Tour and Ball are the largest fundraisers for the Gillespie County Historical Society. Details and tickets may be purchased by contacting the Gillespie County Historical Society, 312 West San Antonio Street, Fredericksburg, Texas 78624, 830-997-2835, or by visiting the web site.